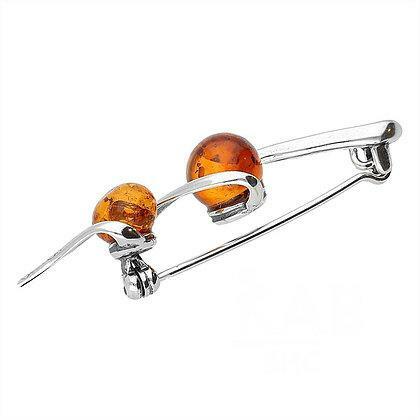 Tune design brooch made of sterling silver set with two spherical brown amber pieces. 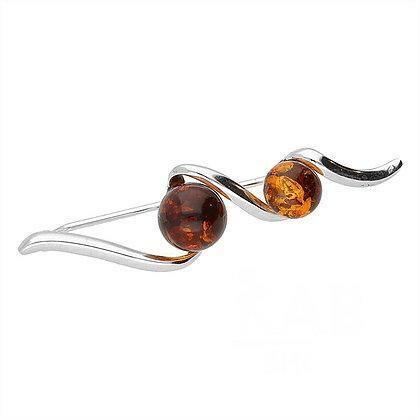 This brooch looks great on any lapel! 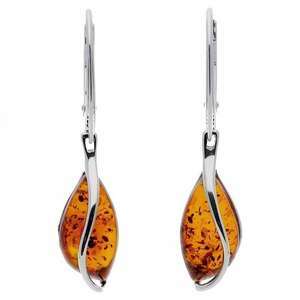 Wear with any of our brown amber pieces for a classic look.